A collection of intercessory prayers for Charismatic and Pentecostal Christians includes all types of prayers for oneself and for others, offering prayers for revival, for forgiveness and much more, all interwoven with scriptural and notes to the Bible. Klassen, Michael A.; Freiling, Thomas M.
Klassen, Michael A., Freiling, Thomas M.
4. Prayers To Move Your Mountains powerful Prayers For The Spirit-filled Life Klassen, Michael A. and Freiling, Thomas M.
5. 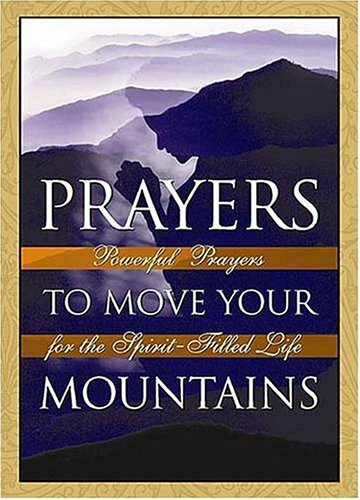 Prayers To Move Your Mountains powerful Prayers For The Spirit-filled Life Klassen, Michael A. and Freiling, Thomas M.